your connection to the earth. For most of us, thoughts of winter conjure visions of landscapes void of color, filled with the bare limbs of deciduous trees and semi-dormant shrubs. 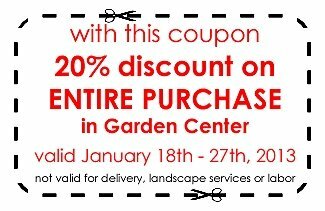 We also think winter is the time to relax about landscaping. While this may be true in the east, winter is actually a very important time for most Southern California landscapes and is the perfect time to add unique combinations and varieties to your garden. In the west there is no excuse for a drab winter landscape. In fact, many plant varieties are at their best this time of year, and they can enhance winter landscapes with beautiful textures and color. 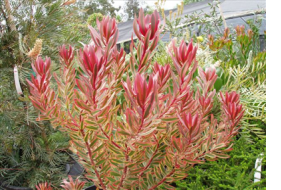 Our favorite plants here at Deep Roots are Australian, South African and New Zealand natives. They are perfectly adapted to our climate and soil, are drought tolerant once established and and are easy to grow. Leucadendrons – Also called Cone Bush or Cone Flower. 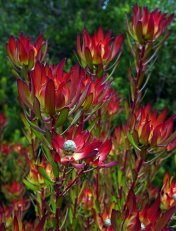 Native to South Africa and part of the Proteaceae group of plants, Leucadendrons (photo left) are a large group of evergreen trees and shrubs that have beautiful winter foliage ranging from silver-gray to dark red with brightly colored bracts that are used as cut flowers by florists. Some bracts when fully open look like flowers. Grevillea - (Photo below left) Ranging from small shrubs to large trees, grevilleas are evergreen plants with needle-like narrow leaves or ferny pinnate foliage, usually in whorls around the stems. The flowers, which are fragrant in some species, are arranged in three basic forms: spider-like, toothbrush-like, and large brushes. Their flower heads, which open at varying times, are composed of many small flowers, usually in shades of yellow, orange, or red. Some varieties flower all winter long. 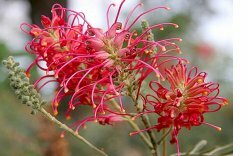 Plant grevilleas in a sunny position with light, gritty, free-draining soil that is low in phosphates. Although drought tolerant once established, they flower more freely and the foliage is healthier for occasional deep watering. Needs no fertilizers. VINES: Selecting vines for your landscape can lend color and fragrance. 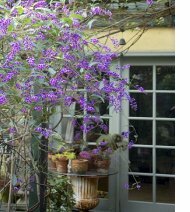 Hardenbergia violacea – (photo left) This beautiful easy-to-grow,drought tolerant evergreen vine features long grey-green leaves and abundant lilac-colored flowers in winter. It is wind-tolerant and offers prolific displays of winter color. IN STOCK RIGHT NOW: Hardenbergia "Walkabout Purple" with beautiful deep purple flowers. Variegated Bower Vine (Pandorea jasminoides photo left) This is an attractive variegated vine that keeps its beautiful cream and green coloring all year through. In late summer it produces beautiful light pink trumpet shaped flowers with a dark pink center. Drought tolerant once established it is perfect for patio covers and arbors as it always looks beautiful. 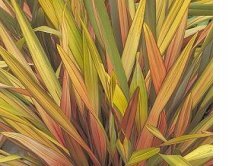 Phormium - (photo left) Phormiums come in a wide variety of colors and sizes from darkest burgundy through to variegated varieties of cream and green, or yellow and apricot. Some are dwarf varieties growing to 18" tall, and some giant varieties grow to 8 feet or more. These are drought tolerant and slow growing plants that will thrive in full sun to shade. Ligularia: (photo left) This is a group of durable plants originating in Asia that are ideal for the shade garden, although they can also take some sun. They are happiest with regular water but can live quite happily alongside drought tolerant species once established. They have large round leaves that can grow to 12” across in some varieties. In the fall large yellow daisy-like flowers grow above the leaves which are very popular with butterflies. 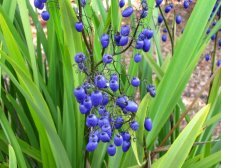 Dianella: (Photo left) This a large group of grassy leaved plants from Australia, similar to Phormium but does not grow as big. More varieties become available each year. Leaf colors include white variegated, gray blue, dusty blue and deep green. The deep green leaved variety spreads by underground runners and has royal blue berries that appear in summer. Very drought tolerant, easy to grow plant. SHRUBS: Many shrubs are evergreen and are the foundation of a year-round garden. They have leaves in a large spectrum of colors from almost white variegated, gray, yellow, light green, dark green, through to dark burgundy, often with a beautiful display of flowers. Westringia fruticosa (Coast Rosemary, photo left) – this plant has attractive whorls of small leaves that are usually a light gray-green color with some cultivars being attractively variegated. The flowers, which usually are most profuse from late winter to early summer color from white to light lavender though some can bloom year round in coastal climates. They grow best in full sun but some can tolerate a varying amount of shade and while fairly drought tolerant most of them appreciate irrigation in summer. They make excellent plants for coastal region as they tolerate wind and salt. Euphorbia –This is a very large genus of plants that includes the Christmas favorite Poinsettia. 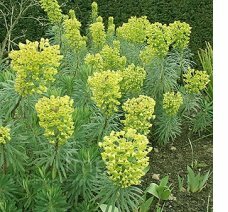 The sub- group that we recommend for winter color is also called “Spurge”. 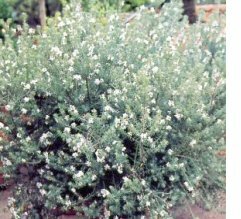 It's the plant with everything: evergreen for winter structure, foliage in myriad colors and frothy flower-bracts in winter and spring. Easy to grow and drought tolerant these plants are happy in containers or in the ground in sun or part sun and come in a variety of leaf and flower colors ranging from dark burgundy to lime green and grey-green. They also self-sow giving you new little plants the following year. Euonymus - A group of evergreen shrubs with variable habits including upright shrubs, ground covers and vines. 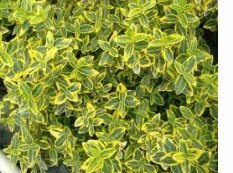 A wide choice of foliage colors is available, with the most popular being the fiery red Burning Bush and the yellow variegated variety “Emerald and Gold” (photo left). 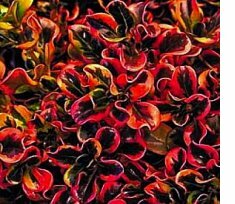 Coprosma - This is a group of evergreen shrubs with multi-colored leaves that originate in New Zealand, Australia and islands of the Pacific Ocean. Coprosmas used to be considered boring evergreens with their small, shiny, plain green leaves, but there have recently been some new hybrid varieties released with leaves of various color combinations (photo left). 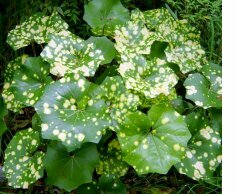 Some are small, low growing shrubs with tiny colored leaves, and some can grow to between 6 and 8ft tall.Many varieties have beautiful variegated foliage that shines and sparkles in the garden, hence its common name of Mirror plant. Color variegations range through several combinations and include dark burgundy- green, red, pink, orange, yellow and cream. They are drought tolerant and an outstanding addition to a mixed border, and they will accept a big pruning session without too much sulking. 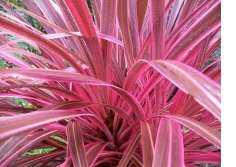 Try planting some with other drought tolerant plants with contrasting leaves such as Cordyline, Phormium or Dianella. 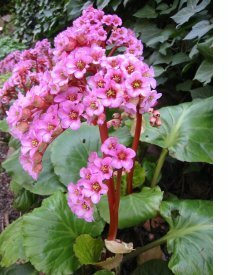 If the English Garden look is just your thing, but you still would like drought tolerant plants, consider the perennials Bergenia crassifolia and Hellebores - also know as Lenten Rose or Christmas Rose. (Now in stock at Deep Roots). 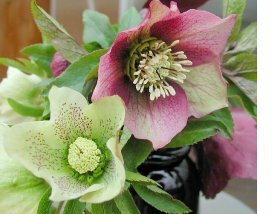 Hellebores have attractive evergreen foliage and bloom from December through to April, some varieties bloom even later. The flowers can be single or double and come in a wide variety of colors, from white to pink to magenta, and pale greens. They need regular water for the first few months in the ground but once established they can withstand quite dry conditions. They do best in the dry shade found under deciduous trees, but also do well in pots placed in the shade or half sun during the winter. The plants increase in size over time and if they really like their position in your garden they will spread slowly through the years. One word of warning - they HATE to be moved, so be careful not to disturb the roots when taking them out of their original containers, and once they are in the ground leave them where they are. We are an established drop off point for Community Supported Agriculture organic vegetable boxes. 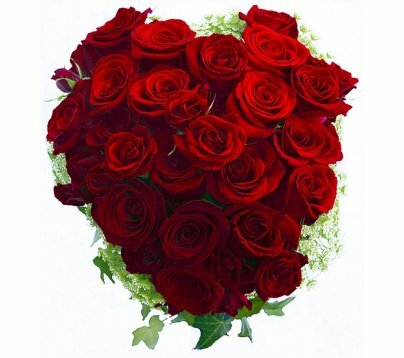 They are delivered to Deep Roots Garden Center every Wednesday around 2pm and we store them in our large flower cooler until closing time the following day. Customers may order a box every week, every two weeks, every month or simply when you feel like one. The boxes come in two sizes, regular and small. The regular boxes contain enough seasonal vegetables to feed a family of four for a week or a single/couple for two weeks. Payment is in advance - please place your order by noon on Mondays. Why not come in and order a box? 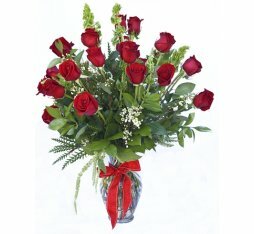 Or you can phone 310-376-0567 or e-mail deeprootsnews@aol.com and order one. At $21 for a regular box or $17 for a small one it is great value for the money. Plant Winter veggies and fruit! Ready to transplant : We have just had a delivery of winter vegetable and herb plants including cabbage, kale, asparagus, garlic, spinach, swiss chard,cauliflower, Brussels sprouts, arugula, artichokes, broccoli and several types of lettuce. Herbs include: parsley, cilantro, three types of mint, dill, rosemary, three types of sage, and chives. January is the perfect time to experiment with vegetables not found in typical spring or summer gardens. Vegetables that can be planted or sown as seeds now include asparagus, beets, broccoli, cabbage, carrots, cauliflower, celeriac, chives, collards, endive, fava beans, kale, lettuce, onions, parsnips, potatoes, peas, radishes, spinach and turnips. Most outdoor garden activity this month is limited to pruning, cleaning up and spreading soil amendments. Some seeds will germinate outside this month if the weather stays warmer but beware of possible cold snaps. To be sure, sow seeds indoors and put the pots on an electric warming pad to help them along. Sow seeds or plant early spring flowering plants such as Violas, Forget-Me-Nots, Pansies, Sweet Peas Nasturtiums, Icelandic Poppies, California Poppies, and Johny-Jump-Ups. 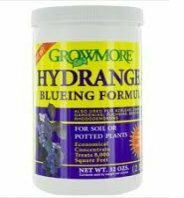 To obtain deep blue hydrangeas don't forget to keep sprinkling Hydrangea Blueing formula on the soil around your hydrangea bushes. Our soil and water in Southern California are very alkaline and blue hydrangeas need acid soil conditions to remain blue. To be really effective this needs to be done all year round, but if you have missed doing this during the winter there is still time if you start now. If you haven't already done so January is THE time to clean up your garden. If you have bulbs planted in the ground it is imperative that you finish any cleaning that necessitates walking on the flower beds BEFORE the bulbs start coming up...you don't want to crush those little green shoots as they push their way above ground. Rake up and dispose of any leaves on flower beds, under rose bushes and shrubs. 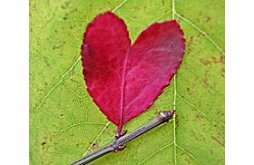 Leaves can harbor fungal diseases and provide an ideal over-wintering environment for insect larvae and disease pathogens. Once clean-up is complete spread a 4 inch layer of soil amendment such as organic compost, earthworm castings, or Growmulch onto your flower beds and let the worms do the rest. All soils can benefit from nutrient-rich compost and mulch. Soil amendments applied to the soil surface now will decay between now and spring and their nutrients will wash into the soil gradually with each rain. Healthy plant root growth and overall plant vigor depends on a moist and loose soil. One or two days of rain is all it takes for weeds to sprout. One benefit of the rain is that weeds are easier to pull out when the soil is moist and loose. Placing a two to three inch layer of mulch around trees, shrubs and plants prevents weed seeds from germinating. If weeds are already starting to grow, remove as many as you can and then cover the area with mulch. The goal is to prevent sunlight from reaching the weeds so they will not have fuel to grow. A common mistake is not adding enough mulch for the weed-suppression process to be effective. Once taken root, weeds need only a small amount of sunlight to flourish.Organic mulches break down over time, so if you already have mulch in your garden, replenish with an additional one-inch layer. Another effective method of preventing new weeds from sprouting is to use a pre-emergent grass and weed preventer such as Amaze. To help prevent peach leaf curl and other fungal diseases it is time to spray Copper Fungicide Spray mixed with dormant oil while your fruit trees and roses are dormant. This is especially important if it was not done last month or if it rained within two days of that application. The point is to have the sprayed material on the tree throughout the dormant season, and especially at specific pest growth periods. Choose a day when the wind is calm. The next critical time for spraying is about mid-February, when the buds are swollen but don't yet show color. Spraying at the precise period of bud swell is critical--before the buds swell is too early, and after the blossoms open is too late. Once the buds open, the damage has already been done. This is the big month for pruning deciduous fruit trees. Basic guide-lines for winter dormant pruning are to remove crowded or crossed branches, to open the center for good light exposure and airflow, to repair structural weakness, and to remove vigorous vertical-growing branches (waterspouts). The height or width of the tree can also be reduced. 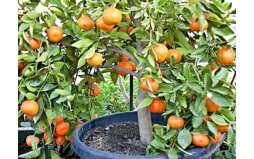 Take care to not leave stubs or to over prune in any single year, as this encour-ages excessive new new growth with more foliage and less fruit. An excellent, inexpensive, and easily-used disinfectant for pruning tools is rubbing (isopropyl) alcohol. Another way of disinfecting your tools is by dipping them into a 10% bleach solution. Wipe shears with the disinfectant after pruning every several cuts to avoid spreading any diseases. Clean the blades extra well before moving to another tree or bush. Pruning cuts that are under one-and-a-half inches across don't need protective covering. Paint larger cuts with Tanglefoot latex tree sealer. Prune ornamental trees and shrubs, vines and roses this month. Keep an eye on the snail and slug population. They love cold nights and moisture and will be laying eggs in hidden places. Pick them off by hand in the first light of the day or use Sluggo slug bait which is safe to use around edibles. Ficus lyrata (syn. Ficus pandurata), commonly known as the fiddle-leaf fig, is a non-fruiting variety of fig used primarily as an ornamental indoor plant, native to western Africa, from Cameroon west to Sierra Leone. When planted outside it can grow to 50 ft or more. When pruned correctly the Fiddle Leaf Fig is an architectural beauty, with a long thin trunk and a leafy canopy. The Fiddle Leaf Fig prefers moderate to bright light. Too little light will cause the plant to lose leaves and thin out. It also tends to grow towards the light giving the impression that it is leaning. Rotate the plant every so often to keep it growing straight and to ensure bushiness. If your Fiddle Leaf Fig foliage begins to discolor and look almost bleached, the plant may be receiving too much direct sunlight. This houseplant requires moderate amounts of water. Water when soil surface is dry; keep drier in winter. 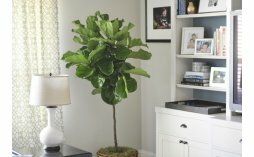 The Fiddle Leaf Fig thrives with misting, pebble tray and/or grouping with other plants. Be careful not to over-water this houseplant because it is susceptible to root or stem rot. Feed regularly using houseplant fertilizer. This houseplant is semi temperamental to temperature. Normal indoor temperatures are fine, however do keep it away from drafts or heat sources. Like other Ficus plants the Fiddle leaf fig has a tendency to drop its leaves when exposed to too much dry heat or drafts and it will go into a sort of dormant recovery mode for a period of time. Clean the dust off the leaves once in a while to allow the plant to absorb as much light as possible. Often in indoor settings a layer of dust builds up on the leaves without our being aware of it and reduces the effective light that the plant gets. Every so often gently clean the leaves of with a soft cloth and some Green Glo leaf cleaner. Don´t try to clean them with your hands as rubbing the leaves can damage them slightly and cause them to bleed little drops of white milky sap. Use latex gloves if you are allergic to this plant. Move your plant to an outdoor setting during the summer so that it can get more light, but avoid direct sunlight. Transition it back indoors gradually at the end of the summer to avoid shocking the plant. The Fiddle Leaf Fig comes in both bush and tree forms. 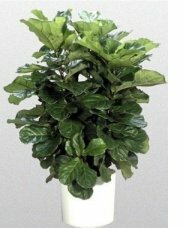 It is one of the easiest of the Ficus variety to grow, making it a good choice for beginners. This houseplant tends to grow slowly, so if you decide to prune it in order to make the plant more compact, do keep this in mind. 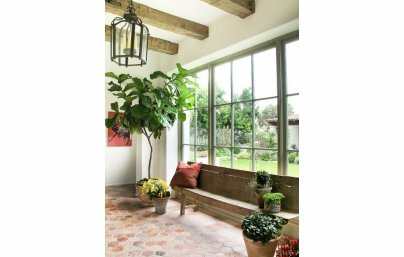 Indoors the Fiddle Leaf Fig can grow up to 12 feet or more in height and up to 6 feet wide, therefore at some point you may need to prune it. Trim the roots every year or two. The Fiddle Leaf Fig is a tree capable of growing to 40-50 feet tall with a normal root system for a tree that size. When roots grow in a small container they have little room to grow in and end up wrapping around the base of the container or growing out the bottom of the pot. Trimming the root system back during the dormant season will help keep the plant growth slow and will help maintain healthy roots.